This tripod's key feature is its 90° centre column mechanism, which allows the column to extend vertically as normal, or horizontally to open up a wide range of framing and shooting possibilities, making this an extremely versatile tripod. 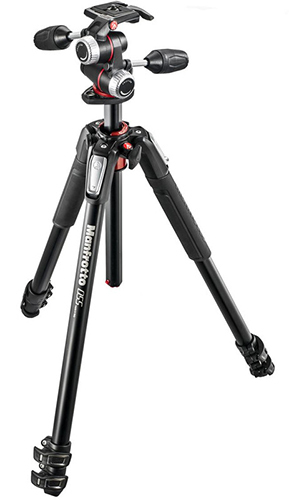 The Manfrotto 055XPRO3 aluminium 3-section tripod's key feature is its 90° centre column mechanism, which allows the column to extend vertically as normal, or horizontally to open up a wide range of framing and shooting possibilities, making this an extremely versatile tripod, suitable for a wide range of photography and video applications. The horizontal column mechanism is housed within the tripod's top casting for compactness, but it is easily and quickly extended whenever you need it. Switching between vertical and horizontal column orientation requires no disassembly, and can even be done with a camera attached. 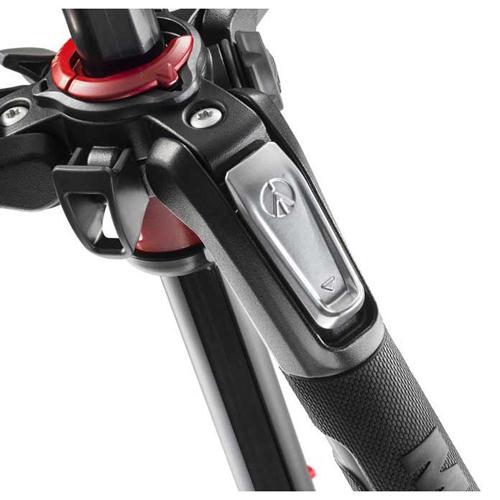 The tripod's legs are also fast to extend and adjust, thanks to the Quick Power Lock (QPL) levers that block and unblock each leg section. The special design of the QPL levers allows a more comfortable single-handed opening of all leg sections in one action. 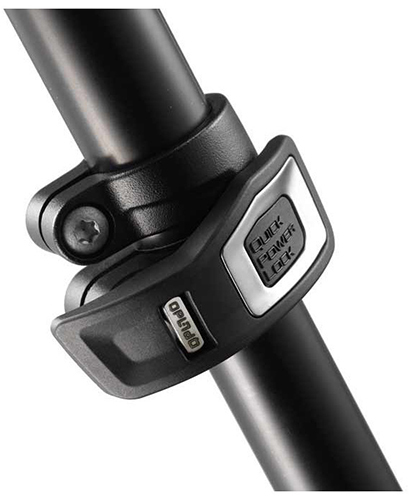 QPL’s lever design also offers more powerful locking of each section, meaning the tripod is more stable and rigid than with traditional lever designs. Intuitive and ergonomic leg angle selectors allow each leg to be independently and solidly set to any of the preset angles, again allowing considerable positioning freedom. The top casting of the tripod has an Easy Link connector for supporting a photo or video accessory (such as an LED light, flash, reflector, or other piece of equipment) on an extending arm or bracket, and making the tripod into a practical mobile studio. 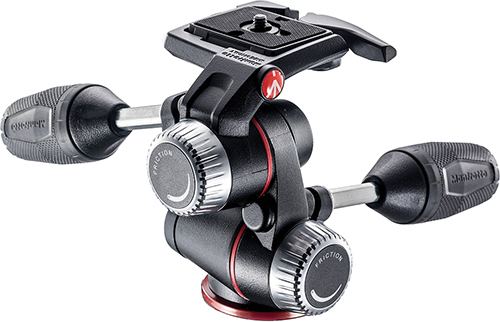 The X-PRO 3-Way Head has retractable levers which make it ultra-compact, and also features new friction controls on the portrait and tilt axes, to help balance the weight of camera equipment so that fine framing adjustments can be made with the locking knobs open, only locking everything down once the shot is ready.